Really enjoyed the photo of Fern Spring with the tree covered with moss and the gentle water works in the back ground. What were your setting on that one Gary? Thanks, Thomas. Using a polarizer and tripod, I was at 62mm, ISO 100, f16, 5 seconds. Thank you for not only for sharing your work, but for well-written stories that accompany them. Great shot and story! Hope no one got hurt in your workshop! One of my favorite places to shoot in Yosemite is Fern Springs. I’ll have to look for that tree in a few weeks. 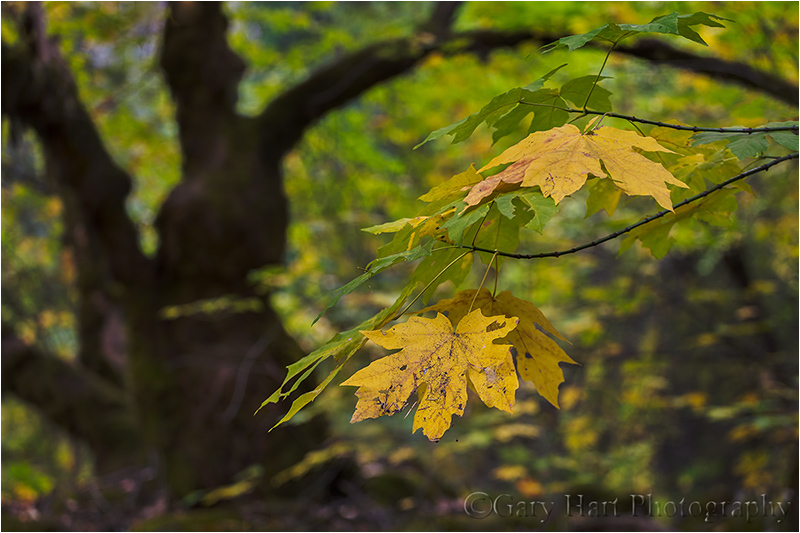 Will probably miss the fall colors but there is always something to photograph in Yosemite. As mentioned above, not only do I love viewing your work, but look forward to reading your stories that accompany them. What a stunning image Gary. 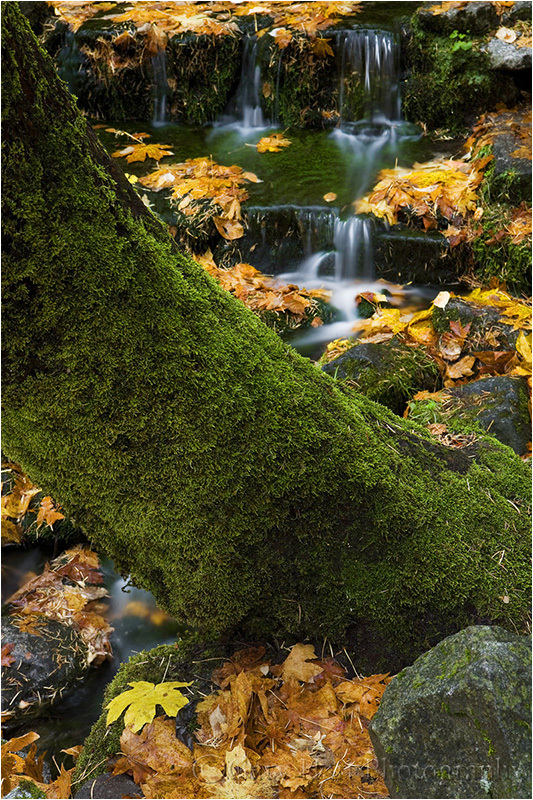 I love the fall leaves surrounding the falls…. and love the moss covered tree trunk. I could stare at this image all day long. OOOPS forgot to leave my information….